Designed to thwart the cleverest attempts at hiding weapons, drugs, stolen goods and other contraband. Loop Scano- 100 X-ray inspection systems are ideal for screening everything from small packages to oddly shaped items and palletized loads. 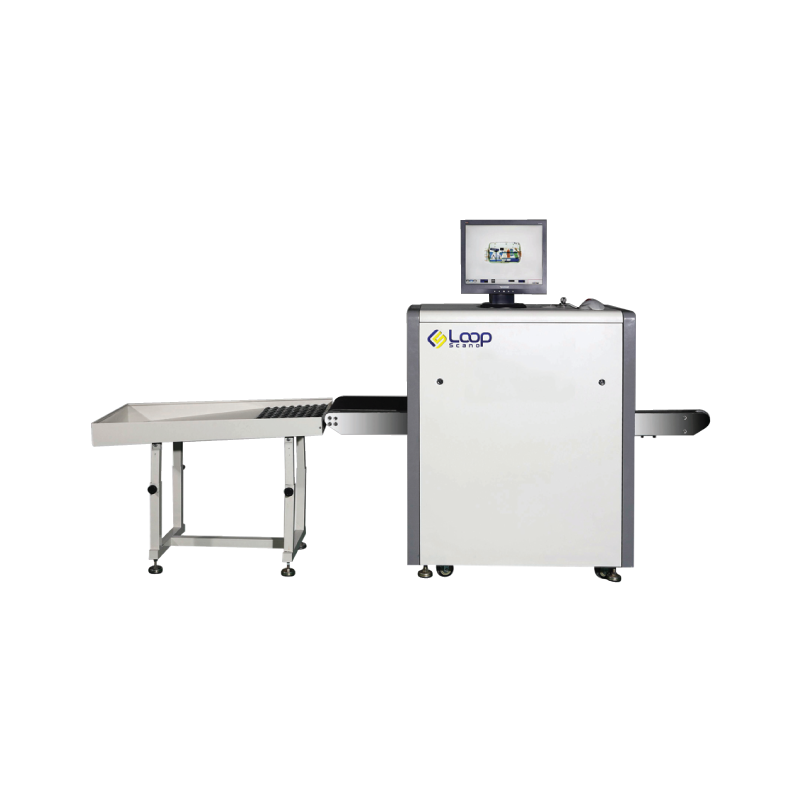 The Loop 100 X-Ray baggage Scanner is an advanced security system, capable of scanning and detecting items of the most intricate nature, stored or hidden in luggage and even smaller, pallet size loads. Baggage scanners are commonplace in airports and administration buildings like immigration and revenue authorities. The Loop Scano 100 X-ray baggage scanner gives leverage to security officials in detection of illegal drugs, stolen items as well illegal contraband. This scanning equipment provides efficient screening methods and technology that lives up to industry standards. It can therefore be utilized in a number of different institutions with varying security concerns. The Loop Scano 100 screens and pinpoints contraband hidden in shoes, baggage lining as well as clothing. It is an intricate and sophisticated system that scans oddly shaped items that would otherwise go undetected by the naked eye. Schools: To scan backpacks and check for weapons and other contraband that may be hidden in odd areas or small packets that would otherwise go undetected. It has a protective cover to prevent lead pollutants. Shopping malls/hospitals: To check for items metal in nature that may be deemed dangerous for these locations. Knives, needles and guns are becoming more common in such areas. Government buildings/immigration offices/prisons: Screening for suspicious items, usually hidden in bag linings, shoes, one’s handbag or backpack. The system will pinpoint and highlight anything that is of a suspicious nature. Prisons: This is perhaps one building where security is given an extremely high priority. The Loop Scano 100 can detect needles in the most intricate of places, including shoes. It will, undoubtedly, screen and find any contraband hidden in oddly shaped pieces. Real time processing capabilities are of an advanced level, storing up to 60,000 images in real time. With a processing speed of 24bits, nothing will go undetected and security decisions can be made promptly. The image processor allows the user to lighten, darken, reduce in size and enhance other features of any images projected onto the screen. As far as the film being used, it is ISO certified (ISO 1600 Film). The tunnel’s dimensions are 50 cm (width) by 30 cm (height). This is adequate for tote bags, backpacks and other hand luggage that may be carried by personnel. The maximum loading capacity for the conveyor belt is 170 kilos. This is crucial when the system is installed in airports and hotels due to the size of loads carried in or out. Therefore, the machine is capable of successfully scanning small and large items with ease and especially, efficiently. The conveyor belt, incidentally, has a speed of 0.22m/s.